I received a B.Sc. 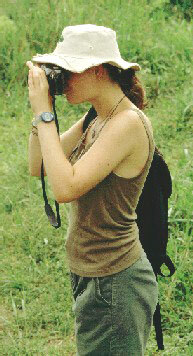 in Zoology from the University of Calgary, AB, Canada in 1996. I then earned a Ph.D. in Behavioral and Evolutionary Biology from Lehigh University, Bethlehem, PA in 2002 for my research on the feeding mechanics and evolution of elapid snakes (cobras, mambas, taipans, death adders etc.). I joined the Biology faculty of Minot State University in 2002. I am a functional morphologist interested in the function and evolution of the snake feeding apparatus. My research entails recording and analyzing the behavior of the animals to describe exactly what they do, as well as a detailed analysis of their morphology, through dissection and histology. Behavioral and morphological characters are then used to explore existing and develop new hypotheses of phylogenetic relationships of snakes. Deufel A. 2017. Burrowing with a kinetic snout in a snakes (Elapidae: Aspidelaps scutatus). Journal of Morphology 278:1706-1715. Cundall D, Brainerd EL, Constantino J, Deufel A, Grapski D, Kley NJ. 2012. Drinking in snakes: resolving a biomechanical puzzle. J. Exp. Zool. 317:152–172. Deufel A. and Cundall D. 2010. Functional morphology of the palato-maxillary apparatus in ‘‘palatine dragging’’ snakes (Serpentes: Elapidae: Acanthophis, Oxyuranus). Journal of Morphology 271:73–85. Cundall D., Deufel A. and Irish F. 2007. Feeding in Boas and Pythons: Motor Recruitment Patterns During Striking. 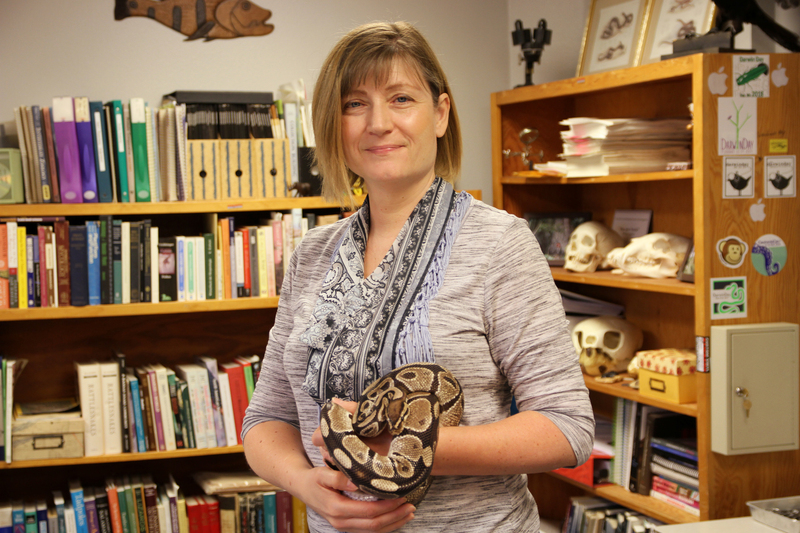 pp:315-343 IN: Biology of the Boas and Pythons. Eagle Mountain Publishing. Deufel A. and Cundall D. 2006. Functional Plasticity of the Venom Delivery System in Snakes with a focus on the post-strike prey release behavior. Zoologischer Anzeiger 245:249-267. Cundall D. and Deufel A. 2006. Influence of the venom delivery system on intraoral prey transport in snakes. Zoologischer Anzeiger 245:193-210. Deufel A and Cundall D. 2003. Prey transport in "palatine-erecting" elapid snakes. Journal of Morphology 258:358-375. Deufel A and Cundall D. 2003. Feeding in Atractaspis (Serpentes: Atractaspididae): a study in conflicting functional constraints. Zoology 106:43-61. Deufel A and Cundall D. 1999. Do booids stab prey? Copeia 1999:1102-1107. Cundall D and Deufel A. 1999. Striking patterns in booid snakes. Copeia 1999:868-883. Russell AP, Bauer AM and Deufel A. (transl.) 1997. Comparative osteological examinations of geckonids, eublepharids and uroplatids by V. Wellborn. Bibliomania! Logan, UT.